Through my small company Transform.Health as a vehicle I operate at the intersection of Innovation & Strategy for boards, governments, corporates, and professionals via my role as Edge Fellow for the Deloitte Center for the Edge (Amsterdam, Melbourne and San Francisco) and Singularity University in Silicon Valley in the Netherlands as well as currently in the Nordics. In my lectures and keynotes, masterclasses, TED-talks or brainstorms I am combining my knowledge and networks by always being challenging, sometimes being provocative but always staying techno-realistic. My goal is to prepare for a soft landing into the future, meanwhile creating sustainable global health(care) for all. As one of the 105 initial LinkedIn Influencers over 800.000 people follow my blog, and in my latest book I describe what dramatic changes lie ahead for health and healthcare. It is at the intersection of technology and (digital) patient empowerment where I feel most at home. I am the former and founding director of the Radboud University Nijmegen Medical Centre REshape Center and advisor to the Board of Directors (2010-2018) and my prior experience in healthcare brought me on the forefront of health(care) innovation for the past 3 decades. 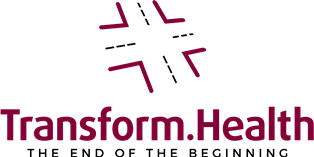 Three decades of tangible experience in health(care) innovation, his incredible global network combined with his state-of-the-art graphics, humor, and thought-provoking vision will support the needed change in your organization. Lucien goes in depth on the topics of his latest book: Augmented Health(care)™; "the end of the beginning"
How change programs, aimed at a permanent change of the (company) culture benefit, better than strategy. New technology in health(care) in 5,10 and 25 years from now. What technology will hit you breakfast table as a health(care) worker in the upcoming years, and how to prepare.